There are good customers and clients of most businesses – and then there are the super fans and evangelists. These super fans can pledge their allegiance in a number of ways, most of which involve ink of some sort. On one end of the spectrum there would be “ink” related to people writing and talking about a brand on-line and off. On the more extreme end are people willing to permanently tattoo (brand) their physical body. In between the personal expressions and promotions of the two ink extremes fall promotional stickers. Stickers are non-permanent tattoos for personal objects (cars, laptops, helmets, equipment, etc.). Stickers are still a personal badge applied/worn with pride about a particular relationship or personal endorsement, just in a less permanent or extreme way. 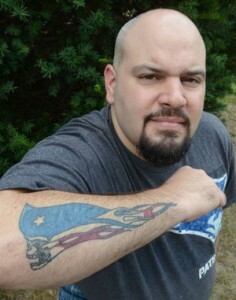 The idea for this sticker branding post emerged out of reading an article titled; Forget bumper stickers, some Patriots fans express their loyalty to the team through tattoos. I think there is one very important take-away from this article on tattoos as it relates to effective promotional stickers. Tattoos are very personal and thus one “size” (or design) does not fit all. Different fans have different relationships with the brand and different ideas of the degree and style in which their personal badges should be expressed. Businesses have much more control over the available style, design and applications of promo stickers then they do for tattoos so it is essential for brands and organizations to acknowledge the personal preferences of their fans and offer multiple options for sticker badges during their sticker campaigns (whether free handouts or retail sale items). Remember, for effective promotional sticker campaigns it is essential that this sticker branding marketing tool is created for your fans, not based on your own advertising, signage and branding ambitions. 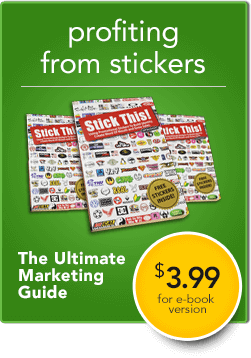 It can be helpful when creating promotional stickers to consider them like tattoos. 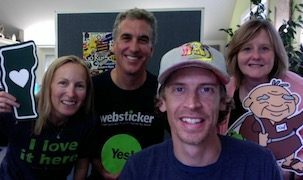 The more you can dig into the personal options preferred by your best customers and advocates the easier to design stickers that are displayed as badges and personal endorsements. Impressions, conversations and increased sales will follow naturally. Does the musician Jeff Nich. 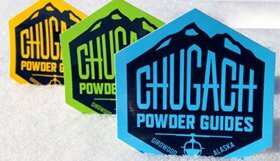 have promotional stickers? Jeff Nich’s band, The Thirsty Brothers has stickers if you’d like a few (no need to buy). Though perhaps you should skip the stickers and go straight to the tattoo? Be the first on your block (and in the world) to get a Jeff Nich tattoo. On a different front, Jeff’s book on promotional stickers is almost complete!